Security is always a concern and today's window technology provides better protection than ever. 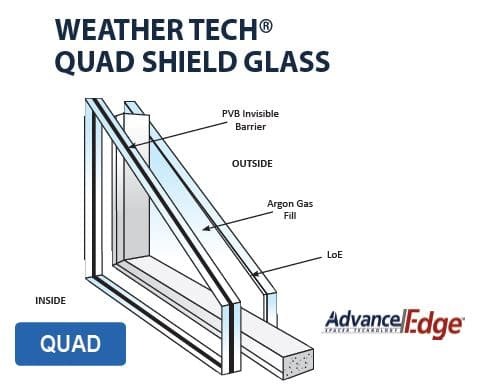 We carry Armor Quad Shield Glass which provides 10 times the protection of regular glass. This added protection means that criminals need more than a brick or baseball bat to get through. Burglars are 12 times less likely to try and break and enter through a window that has Quad Shield glass. Burglars will give up quickly and go to the next house. Insurance companies may even offer an additional discount on your home insurance premium. Another benefit is the virtually Burglar Proof laminate feature for additional security. This laminated glass can be cracked with a hammer but the laminate film holds the glass together preventing penetration the same as car windshields. Consider offering it for basement windows at low cost with great benefits.